Uncommon Ground—Dialogues Between Business and Social Leaders: Penguin/Viking, 251 pages, ₹ 499. India’s demographic trajectory is such that, for the next twenty years, about 1 million people will enter the workforce every month. Will there be a sufficient number of jobs for them all? And will these jobs fulfil the aspirations of youth everywhere? What kind of livelihoods do the majority of people want for themselves? I am going to start with you, Arunaji. You quit the bureaucracy in 1975 and went to work with craftspeople in Tilonia in Rajasthan. Looking back on your journey, why do you think it became so critical for the state to enable the right to work, to guarantee the right to work? Well, actually, since you mention Tilonia, I’ll go back to what the nine years there—I stayed up to 1983—taught me. It was a very Gandhian period because, in a sense, I listened to and learnt from rural people as to what they really wanted. The notion that a middle-class person has of rural employment is crafts, but it barely touches the ground reality. The main occupation of rural people is either agriculture or employment as physical labour—either in government works or elsewhere. So the main issue for employment of rural people, therefore, is not handicrafts—it is daily-wage work. They go and stand at haats from where they are hired by private companies or private people. Or they engage in migration and move elsewhere for work. Or they go and offer their services to bigger farmers. Or they go and work with government programmes. The main thing for them is employment with a skill they already possess, which is working with tools like the ghainti, the phawra, with the various implements of mud work, of plastering, of building. These are their skills, so one has to build from there. And they want employment. And they have always wanted to live with dignity. This is a myth that we always have, of people not wanting to work. India’s poor work very hard, because if they don’t, there will be no food at the end of the day. Much more than any of us, they have had to work. Sunil let me come to you. Yes, we have employment guarantee and it’s a process—it’s going to evolve. But in the meanwhile— you know the statistics better than me—we have about 400 million people in the labour force. Fifty per cent of them are entrepreneurs, perhaps not out of choice. We have 92 per cent of the workforce in the unorganized sector. Sixty per cent of them have no skills that would fit into, say, a European guild. How do you see the transition happening from unorganized to organized (labour)? From the kind of wage labour that she is talking about to more dignified livelihoods? We need to go back again to the history of how our labour has been organized over the last fifty-odd years. The fact is that we went for state planning where the premise was that the state would be the provider of jobs; and we ourselves put out plans on the model of the Gosplans of the state planning commission of the Soviet Union, where five-year plans would lead to the economic build-up of the nation. The fact is it was a big failure. All of us know that that didn’t work very well, even though there is a big role that the state has to play, which it can’t abdicate in favour of either non-profit organizations or corporate bodies. And I believe that each one of us has a role to play in contributing to that particular objective of providing sure, good dignified jobs to everyone. Now let me come to the area where we normally operate, which is more organized. I think that is an area where people are getting secure jobs, dignified jobs; careers are growing at a rapid pace and they are getting globalized. But this is not enough. It’s a very small portion of our overall workforce. In fact only a fraction of India’s labour force is employed by the organized industry. Equally we are finding that as we grow our businesses, we don’t have enough people joining the labour force. Today I am not in real estate but we have three or four buildings coming up. Every building is significantly behind schedule and the reason for this is not enough skilled manpower to build those buildings. I can’t imagine how the large builders would be managing their affairs today. There are jobs. People want jobs. Employers want people. There is a mismatch. Do you want to respond? ... Sunil, why is it that when corporate India goes into the rural hinterland there is so much unease. Why do people feel so threatened? That’s one thing. So what is the partnership model where the last person that she’s talking about feels that there is a stake for me here and my future can be built on this? What can you do? What can you do as a business? And the resultant share of what they gained was very small. So when an industry moves into the rural areas, when you are trying to acquire land for industry, there is a hue and cry. The motive behind what industry does is always suspected. We were trying to acquire land for India’s first football academy. Bharti Foundation (feels) we must have an Indian team in the World Cup in 2018. We work with AIFF—the All India Football Federation. To get that land we had so much resistance. What we are doing—there is a philanthropic project to build a world-class academy there. But you have to work with them. You have to tell them what you are doing. Sit down with them. At one stage my people said let’s go to another state. There are many people who are inviting us. I said no, let’s stay there and address their issues. They wanted guaranteed employment in the academy; they wanted participation in the academy; they wanted to be part of the decision-making process. I said who are we doing this for—it’s for them—let’s do it. 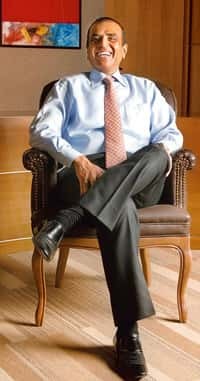 Sunil Mittal is founder, chairman and group CEO, Bharti Enterprises, that owns Airtel, India’s largest mobile service provider. 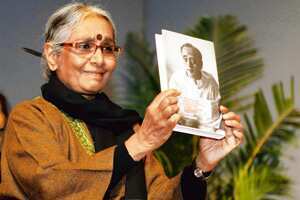 Aruna Roy is a social activist and Magsaysay Award winner. She is a member of the National Advisory Council set up by the UPA government. Excerpted with permission from Penguin Books India from Uncommon Ground: Dialogues Between Business and Social Leaders.